For more than 100 years, White Rock Lake has been the people's playground. The types of lake activities popular here have changed through the decades as Dallas has grown from a small country town to a large metropolitan city. The lake first known for hunting and fishing is now an urban oasis enjoyed by well over two million visitors a year. 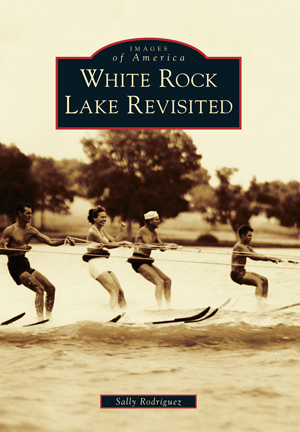 Images of America: White Rock Lake Revisited focuses on the people and activities of the lake and expands on the previously published Images of America: White Rock Lake. Sally Rodriguez served the Dallas Park and Recreation Department for more than 32 years and was the department's historian charged with the promotion of the park and recreation department's legacy. The majority of the historical images featured in this book come from local families, clubs, and businesses who all graciously agreed to share their collections.